Did you check your paint code? Driver side, in between the seat and the sill. anyone know the paint codes for the sky blue used in the club racer?? i can't seem to access the pdf mentioned previously. smicker was helping me in the other thread I created but I wanted to post this here too.. 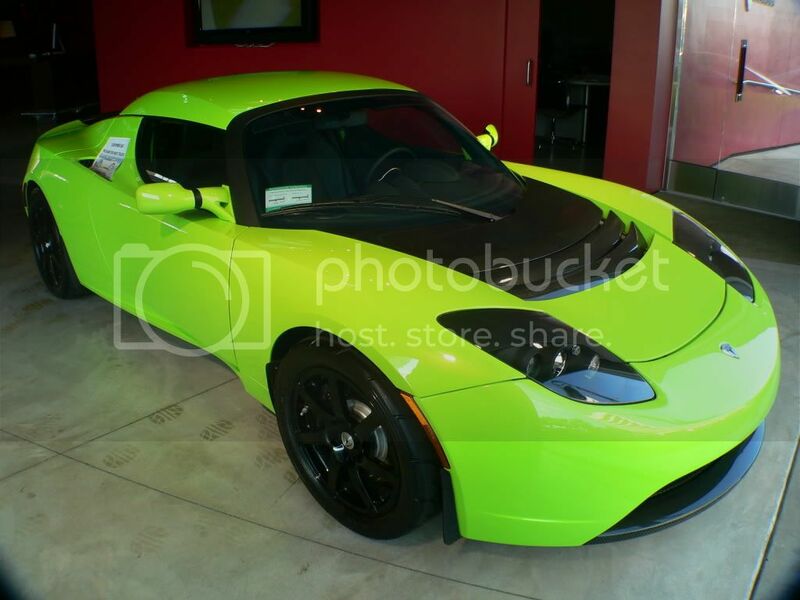 I am desperately seeking the dupont color code for "insane green" which was available on the euro-spec Tesla roadster signature edition car. I had my local paint supplier look up the Phantom Black and they said that Dupont didn't have it listed??? Somebody has already mentioned this but I figure I would mention it again to emphasize and save somebody $200 (What I was told it cost to paint the rear clam. ): B100 Magnetic Blue is TOO violet. I just wanted to confirm that the color chart posted earlier is correct, and the color code for 2005 Lotus racing green (metallic) is B86 (748065 Dupont code). I tried contacting lotus directly and I didn't get a response. If anyone can double confirm this, or assure me that the chart is in fact correct. It would be much appreciated! I'am a new member, first time on Lotustalk. I have a problem that I see you have helped others with. My 2008/09 elise is "Isotope Green" paint code B132, Primer value shade 1 in water based Dupont. Can anybody give me additional info to give to painters, the Dupont rep had no reference to this colour and was no help. Any help appreciated. Cheers Greg. Does anyone knows the the dupont code for graphite grey B122. anyone know why the first post is not formatted? Paint problems - Saffron yellow. I've resprayed the front clam after repairing the clam. The result was old problem: now the part resprayed seems a little dark and lightned by the lights on the streets it appears some like orange not SY like the rest of the car. Any suggestion on how to match well? Wich kind of primer shade must be used on clam? It's better order the paint on factory? We have painted over forty Lotus colors and not one of them has metallic flake in the clear, besides, it does not make sense based on the way flake is designed to reflect light in the base or mid coat of the paint itself. If someone has a paint code that verifies the metallic flake in the clear coat we would love to know about it. Can anyone comment on why Lotus would makre two versions of these colors? Mine ST has B121 listed on the sill, so I guess the info in the first post is not relevant? i am looking at ads for a yellow elise to buy. a couple times i see the description as 'SOLAR YELLOW' instead of 'SAFFRON YELLOW'. are there two different yellows made by lotus for the elise? DId they change the name but it is the same color? Is the seller listing the color wrong? can anyone clear this up for me? I don't want to drive a few hundred miles to look at a car that is the wrong yellow. Yes that is totally backwards as I spray both colors. Solar yellow is Saffron yellow plus a mid coat which is simply a tinted clear with metallic flake. From a distance they look exactly the same. It is only when you get closer and in certain lighting conditions that you can tell the difference. Personally I would go with Saffron (my car's color) because it is so similar in color and so much easier to repair with those pesky rock chips. Pearl colors can not be blended and the entire panel needs to be resprayed to match, sometimes the whole car. Between the two go Saffron. The paint code is B124, "LE MANS BLUE GT40 GULF RACING".